Few things are more frustrating than being put on hold on a help line -- with the exception of bad hold music or being unnecessarily transferred from one agent to another. Such experiences are the reason many customers prefer to solve troubles on their own before calling a business’ service number or store. However, any good business owner or manager knows that the quality and speed of customer connections are crucial and that a simple phone call can make or break a business. This is why it’s important that customers (regardless of whether they’re inquiring, complaining, or praising your service) are handled in the best and most professional manner. And when it comes to dealing with customers on the phone, the technology and tools you use make all the difference. A tool that’s growing in importance today is Voice over Internet Protocol (VoIP). VoIP technology routes all your calls over the internet and comes with a number of productivity features and functions that help you work effectively and efficiently on the phone. Here are three ways VoIP helps handle and nurture your interactions with clients and keeps them coming back. In business, every call is an opportunity. Missed calls could mean lost revenue, an increase in customer churn, and a tarnished company image. But with VoIP features such as Auto Attendant, Simultaneous Ring, Follow Me/Find Me, and Call Forwarding, the number of unanswered calls can greatly be reduced. The Auto Attendant feature, for instance, helps customers reach the right extension or department, which ensures that more calls are answered by the right people. Follow Me/Find Me also makes sure you never miss a call (even when you’re away from your desk) by routing your calls to a predetermined list of devices or numbers. Catering to more customers overseas, but bothered by the high cost of calls? VoIP phone systems let you create a local presence in almost any market (without all the expensive overhead), and allow clients to reach you without incurring international charges. For example, you’re a bag manufacturer based in the US but your biggest customers are from the UK. With VoIP, you can choose a local UK number so that your customers from the UK (or from any part of the world) can easily call you without the extra international call costs. Clients also feel more secure transacting with businesses that has a local presence, even just a virtual one. So adding local numbers to your primary business number can bring in more prospects. These days, customers expect 24/7 customer service . So if a customer needs something from you on a Sunday at 4am but can’t reach you, then chances are they will look elsewhere for a business that can support their needs. VoIP’s powerful call forwarding features, however, can make sure customers get service at any time by routing their incoming calls to your support team in the appropriate time zone. This helps keep your customers happy and satisfied. 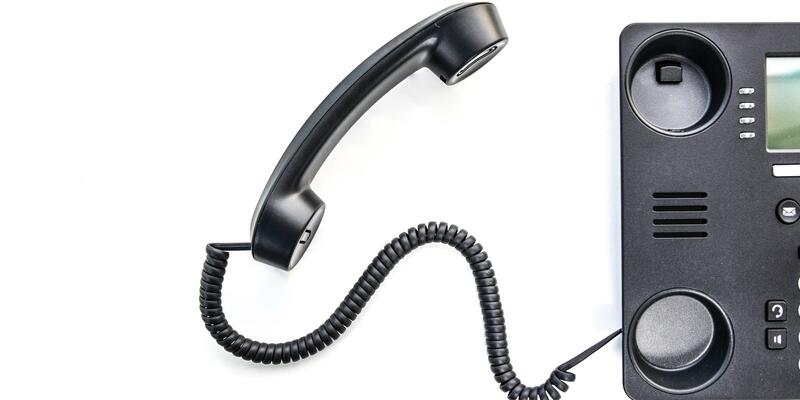 A VoIP phone system isn’t just a means for you to talk to customers for cheaper calling rates. With its vast range of impressive features, VoIP also makes sure you can communicate with customers in the most professional and effective manner. So is your phone system making it easy for customers to keep doing business with you? Or does it make them want to forget you for good? If the latter speaks more truth, then there’s no reason why you shouldn’t make the move to VoIP.